Experience some of the most beautiful wilderness scenery on the frozen Takhini River, a historic stretch of the Yukon Quest trail. 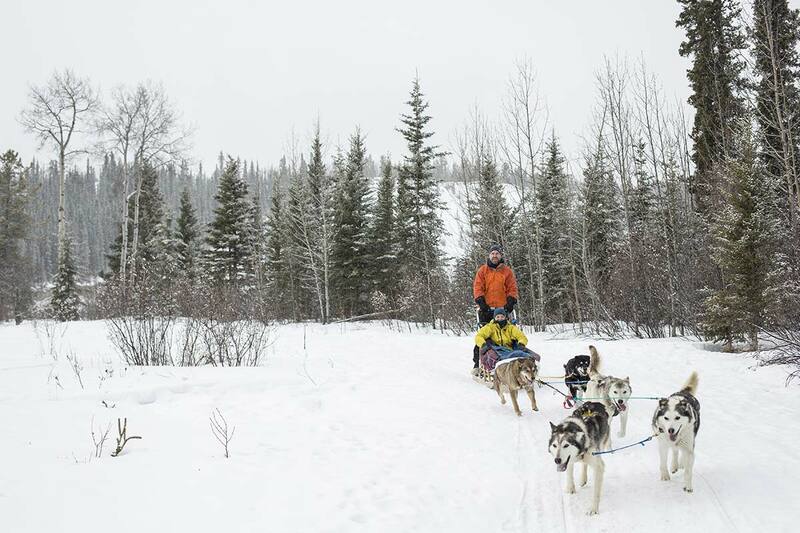 Learn the basics of mushing or, if you’d rather ride, just let us know. Suitable for participants 5 years and older. Truly a great trip for anyone. This trip can be customized for special occasions and family outings, or modified to accommodate special needs. Beautiful, scenic and historic trails, with great photo opportunities. 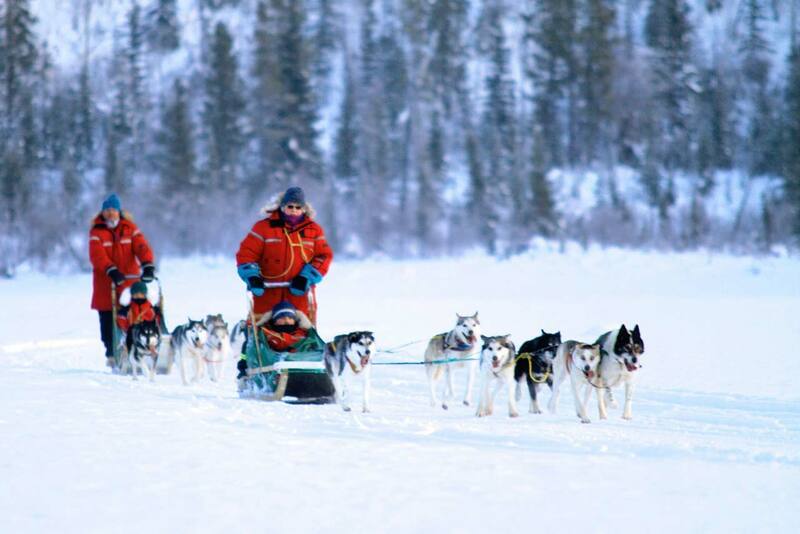 A team of very friendly, dedicated Alaskan Huskies. A trained and certified guide. Great winter gear: parka, snow pants, warm boots and mitts. Hand and foot warmers, if required. Instructions on how to drive your sled: how to balance, steer and brake. Small groups, with a maximum of 4 sleds per guide, to give you the best possible experience. Hot beverages and delicious snacks after the tour. 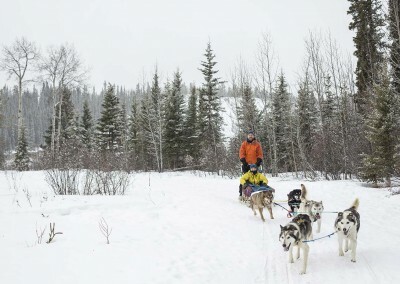 Duration: Approximately three hours (time on sled approx 2h)— 9:30 AM and 1:30 PM departures. Discounts: Please ask about discounts for youth, children and groups of more than 10 adults. Booking details: Call OR email your booking inquiry OR select the click here to book online. Two people booked to a sled. Surcharge for single sled request–please inquiry for more details. Groups are limited to four sleds per outing. If you have a larger group accommodations to the 4 sled limit can be made, please inquire for more details. Please book as early as possible, to ensure that you get a space. 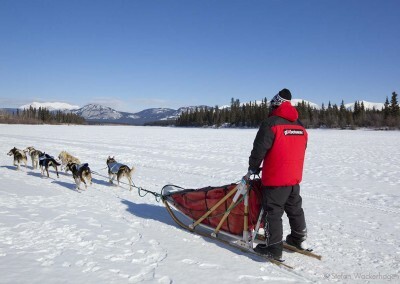 We will accept bookings up until 20:00 Yukon Time, the night before the scheduled trip.